Today, Public Knowledge, as part of a broad coalition of petitioners, presented oral arguments demanding repeal of the Federal Communications Commission’s December 2017 Restoring Internet Freedom Order before the D.C. Circuit Court of Appeals. Public Knowledge filed as a petitioner along with other public interest groups and internet companies opposing the FCC’s abandonment of its own net neutrality rules reclassifying broadband as a telecommunications service. Kevin Russell delivered the arguments on behalf of Public Knowledge, Free Press, and Open Technology Institute. 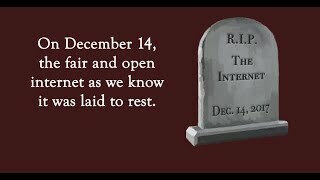 “An Open Internet is vital to democracy, free expression, competition, equality, and economic growth. 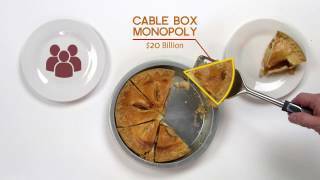 Net Neutrality is common-sense policy designed to ensure that basic communications infrastructure is open and available to everyone, that lets broadband providers make the money they need to cover costs and fund new investment but does not allow them to act as gatekeepers and rent collectors. If the current policy stands, consumers can expect higher bills and fewer online choices, with fewer expressive and creative outlets. Ultimately, the internet will look more and more like the overpriced cable TV bundles of decades past. “We did not argue today that the FCC only made a policy mistake. It broke the law, too. The FCC failed in its responsibility to engage in reasoned decision-making. In abdicating its oversight over broadband, it adopted legal theories that disregard D.C. Circuit and Supreme Court precedent, and effectively rewrote the Communications Act. The FCC emphasized industry submissions that purport to show that reclassification decreased network investment, while ignoring contrary statements from the same industry parties made to investors, as well as other evidence that undercuts its case. The FCC even claims to preempt state law without having, under its own theories, any authority to do so.